Lovely 4 Bed House near Valencia, Spain. Tranquil area with beautiful views. Space outside for a yurt, camper van or to extend the house. You get the best of both worlds - a house in the hills a short drive from the village, but less than an hour's drive to Valencia and the beach. Bulgarian Chalet style house. Mountain village within company LTD Brexit proof. house for sale. 8 bed detached. land to build on and large 2 story to convert. BACUP/ BRITANNIA LANCASHIRE. ONLY 30 MINS TO MANCHESTER. It is really one of a kind. The house has over 30 rooms including 5 bathrooms. minstrels galley. Parking for over 20 cars on the front. Gardens to side and back. 2 Bedroom Holiday Lodge with Master Ensuite - Set in Rural East Devon. REDUCED ! The lodge was built by Omar, a leading manufacturer of luxury lodges 10 years ago and still has a. The Main room is open plan containing aKitchen ,Dining room and Lounge. A warden maintains the park and mows the lawns thus making it a 'get and go away' lodge. Freehold Mobile Home and Lot ,8 Months Of Year, Retirement, Bexhill On Sea. It sits in a large slightly sloping well drained lot which is lawn and a small flower garden. It has a large deck for outside entertaining. Gated secure friendly community with residence allowed 8 months of each year. Ground floor & first floor terraces with amazing views of Samobor forest & Samobor's derelict Castle. 2 fabulous nearby restaurants and Samobor's cobbled town centre at the bottom of the mountain. 1/2 hour from Croatia's capital city Zagreb. In Italy, Abruzzo. 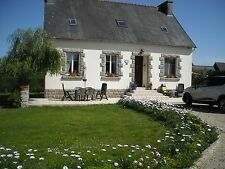 Detached House on the edge of small town, with garden & fantastic views. The top entrance to the house is on the second floor and has a fireplace. There are another 2 rooms on this floor, 1 of which has a balcony. Luxury, 2011 Holiday Lodge, 2 x Bed, 40ft x 20ft, Haven's Church Farm, PO21 4NR. Asought after view of the fresh water lagoon, is situated directly but one space in front of the lodge. There is direct access, within walking distance, the beach, harbour, and the wildlife bird sanctuary. On beautiful sought after site in the quiet village of St Columb Major in Cornwall. The garden has been designed for a minimum of maintenance although still keeping its charm. There is also a composite sun deck to the front of the property which enjoys the sun from early morning until late evening. This is a sale (price reduced by £13 000) of a narrowboat (a house boat) for £18800. Boat is fully ready to move in and live. Sold as seen on photos. Space has drawers and storage space under the bed. Lovingly Refurbished Detached House. The property is constructed of brick and Italian Maiella stone with rendered exterior, under anewly constructed, fully insulated, laminate timber and tiled roof. Get back to nature with long rural and seaside walks, as well as plenty of outdoor pursuits, water sports, dolphin and seal spotting opportunities, sea fishing, golf, and spectacular sandy beaches on your doorstep. The house is detached. Car parking space is freely available in the village. The house sits in a green lane area of the village and there is no traffic in close proximity. There is a small planted area around part of the house. Houseboat for sale. Collection in person only. Probably one of the nicest locations in Normandy. 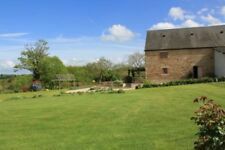 Situated in the countryside, yet only 10 minutes from Saint Hilaire du Harcouet, which is a very large town, having Aldi, Lidl and Leclerc. Only 15 minutes from Avranche, which is an even bigger town. With almost 360 degree mountain views you can appreciate why Dalyan is renowned as one of Turkey's most beautiful towns. There is a large pool with plenty of room for sunbathing with ample sunloungers. To the big river Danube. Komoshtitsa is a small village within 10 min. drive to town of Lom, very close. Own well in the garden, used for free watering fruit trees. The house is furnished and ready to live. Out door swimmingpool. Electric gate for car parking area. CEAUCE 61330 - LOWER NORMANDY - 61 ORNE - FRANCE. 1st Floor - master bedroom 1 with walk in wardrobes and en suite bathroom - bedroom 2 single - bedroom 3 with en suite shower room - bedroom 4 double - bedroom 5 double - bathroom with separate shower. Long lease remaining on property (18 years). The latest rate table I have for sublet fees for our lodge banding (Gold) is from £464 per week for the low season months to £628 per week for high season. There is also a secure play area for the younger children whilst being watched by there parents who can enjoy the terrace and bar facilities. Direct walking access to the lagoon, Pagham beach and the wildlife bird sanctuary. Large farmhouse with 36,405sqm of land, including approx 200 mature olive trees. Property on 3 floors - Ground floor consists of 3 double bedrooms all with en-suite facilities, large lounge with wood burning stove and dining room and utility room. FANTASTIC overseas opportunity - Not to be missed! Villa Altea Hills Costa Blanca - YouTube. The Villa has 4 large bedrooms, 2 bathrooms and is set on two floors. The overall plot is approx. The villa is being sold fully furnished. It has views to both the sea and the mountains, and sits in a peaceful, friendly neighbourhood. 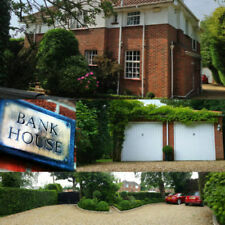 Large 3 Double Bed Detached Villa occupying Large Corner Plot (684sqm)Complete with Title DEEDS. 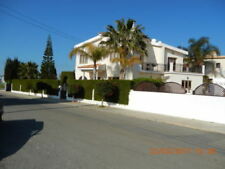 Located in the Village of Frenaros (Southern Cyprus) just 10mins from Aiya Napa. The property is fenced all around, there is a new septic tank and independent water source / water well /. In the yard there is a possibility of building a swimming pool. Drop irrigation for vegetable garden. ONE BEDROOM HOLIDAY APARTMENT FOR SALE IN SUNNY BEACH RESORT, BULGARIA! The complex is gated and combines modern facilities and exceptional service. It’s situated about 4km away from the charming beaches of Sunny Beach. It consists of a big sized and bright room, which compresses kitchenette, dining and living area, bathroom / toilet, a separated bedroom and two balconies at each room. Updated Ready to move Property House 4 Rooms North Greece 5 min beach. House has 4 total rooms, newly furnished, only kitchen and windows need updating. Roof is almost new. High quality inverted air conditioner warms and cools all rooms all year around. 400sqm of backyard with all kind of fruit trees. The villa is split into three floors with an open staircase running through each level. The construction includes block insulated walls and superb stainless large cavity double glazed units allowing maximum insulation from the hot and cold weather, as well as visibility for the stunning views over the orange groves and out to sea. The complex is gated and combines modern facilities and exceptional service. It’s situated about 4km away from the charming beaches of Sunny Beach. The most modern and luxurious complex of the Bulgarian Riviera - Sunny Beach, is located 30 km north of the second largest city on the Black Sea coast – Bourgas. The cortijo covers an area of 220m2. There are no other houses nearby. It now has a cubic Moroccan feel with flat roof terrace which has the best views on the finca, amazing for bird watching or sleeping under the stars. 3 Bedroom Sea View Villa Varna Bulgaria Pool, Air Con, Parking, Varna Bulgaria! The downstairs is open plan with kitchen, dining & lounge area as well as a separate downstairs bedroom with ensuite. The open plan living area opens up onto a covered terrace leading to the infinity pool and tropical garden, with outdoor shower. Going back to the. A large room with great views front and rear being Dual Aspect (Double Glazed) plus a door leads to the south facing terrace. Under the staircase, there is an original door leading to the cellar/cave and storage - this is a great feature - see picture. over 200 sq.m.living area! 100% Freehold! Monthly Pay! Reduced from £96,000 to £88,000 for quick sale. Large covered side porch ( needs floor doing ). Well. never dry. Bakery with very large bread oven, sink, electric power points and lights 3 m x 4 m approx. Covered top porch next to a Very large top bedroom on-suite shower room & toilet, Belfast sink,Fountain tap 1 x 4 m x 7 m approx. SUMMER LETS OF 1 MONTH + for £2000/month CONSIDERED!!! !